Unicommerce, India’s leading SaaS-based multichannel order fulfillment platform showcased its GST ready solutions for online sellers. The event organized on June 24th in collaboration with All India Online Vendor’s Association (AIOVA) aimed at educating the sellers on impact of GST on eCommerce sellers, and how technology solutions like Unicommerce can help smoothen the transition in the post GST regime. Unicommerce, which is already helping thousands of sellers to manage their online operations with ease, is now upgraded to handle different scenarios of GST, including support for revised tax structure and other regulatory requirements. The session also featured some of the other recent product additions by Unicommerce such as “One click” Tally integration, Omni-channel, advanced warehouse management solution (handheld support, cycle count etc.) along with proposed product pipeline catering to B2B and offline businesses. The engaging event served to allay various concerns by sellers on GST and audience appreciated the efforts of Unicommerce and AIOVA teams for arranging this informative event and requested them to team up at regular intervals to hold such events in the city. Unicommerce, India's leading SaaS-based multichannel order fulfillment platform showcased its GST ready solutions for online sellers. 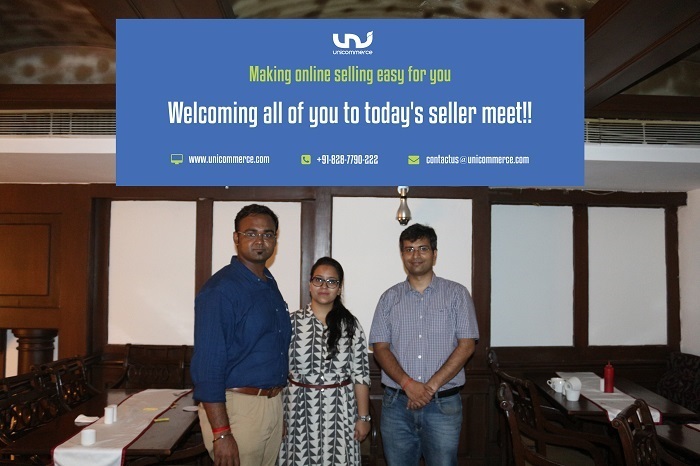 The event organized on June 24th in collaboration with All India Online Vendor’s Association (AIOVA) aimed at educating the sellers on impact of GST on eCommerce sellers, and how technology solutions like Unicommerce can help smoothen the transition in the post-GST regime.